ASHRAFS has been appointed as the official distributor of Xiaomi in Bahrain. ASHRAFS W.L.L. announced today that it is bringing Xiaomi’s range of popular smartphones to the Kingdom. ASHRAFS has been appointed as the official distributor of Xiaomi in Bahrain, where it hopes to replicate Xiaomi’s success. 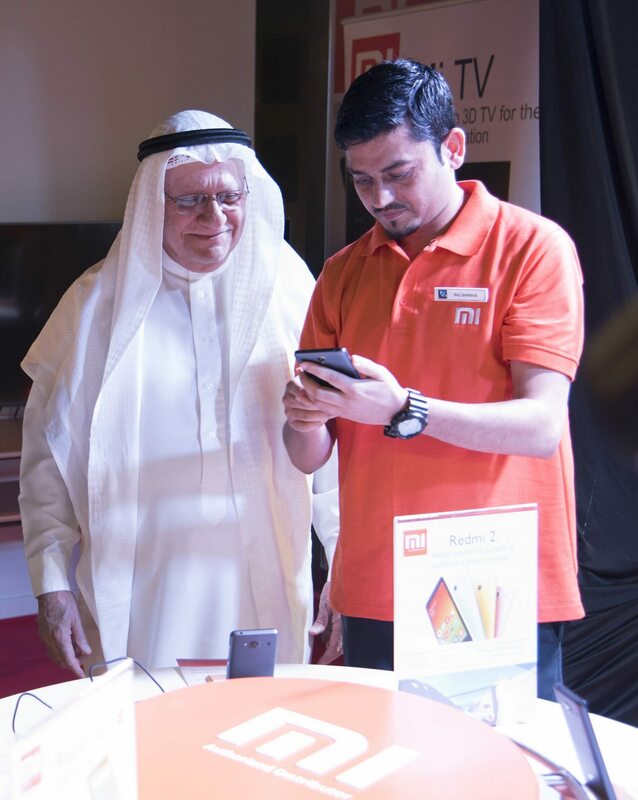 ASHRAFS has partnered exclusively with leading telecom operator Batelco to launch Xiaomi’s smartphones to the market. Four exciting models Redmi2 Pro, Redmi Note, Mi4i and Mi Note are being introduced. Across Asia, Xiaomi’s smartphones have become a popular choice for users who value quality mobile phones at affordable prices. During a presentation, Mr Steve Vickers, Chief Marketing Officer, Task FZCO, the master distributor for MENA cited reasons for why Xiaomi smartphones have become a success story in key markets abroad. These include the popularity of its proprietary Mi User Interface (MIUI), which runs on top of Android and gives users a richer and more engaging experience when using their Mi devices. Commenting on the launch, Batelco Bahrain CEO Muna Al Hashemi said that Batelco is delighted to join hands with their partner Ashrafs for the launch of the Xiaomi range of smartphones. All of the Smartphones are 4G devices and come equipped with Dual SIM-card support. The hardware features leading edge components from suppliers including: Qualcomm, Mediatek, Sharp, Sony, Samsung, JDI, Panasonic, Toshiba, and many others. Xiaomi was founded in 2010 by serial entrepreneur Lei Jun, who believes that high-quality technology doesn’t need to cost a fortune. Xiaomi create remarkable hardware, software, and internet services for and with the help of their Mi fans. Xiaomi incorporates their Mi Fans’ feedback into improving the product range, which currently includes the Mi Note, Mi 4i, Redmi 2, Redmi Note 2, Mi Band and other accessories. With more than 61 million handsets sold in 2014, and products launched in China, Taiwan, Hong Kong, Singapore, Malaysia, Philippines, India, Indonesia and Brazil, Xiaomi is expanding its footprint across the world to become a global brand. Next articlePlan Your Trip—Be Organized!